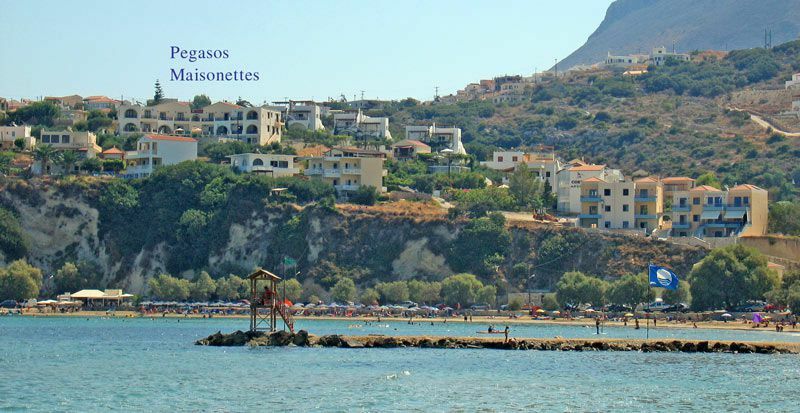 The lovely Pegasos Maisonettes (2-bedroom apartments) are located in the seaside village of Almirida, 350 meters only from the sandy beach. 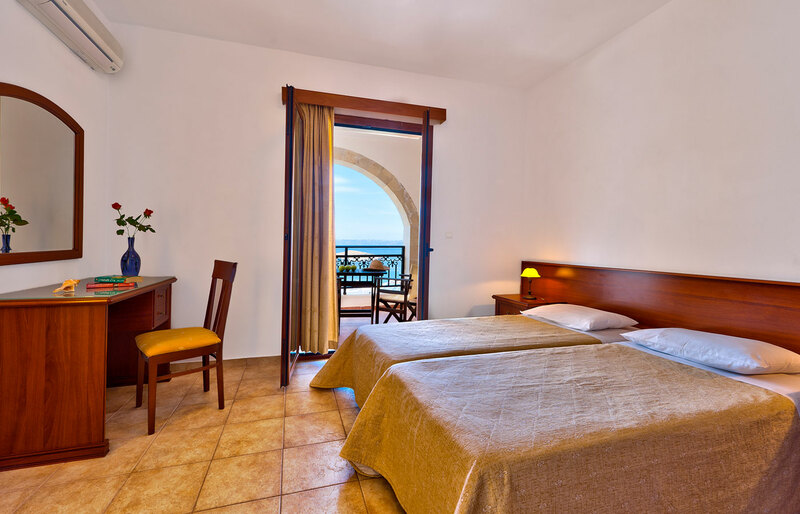 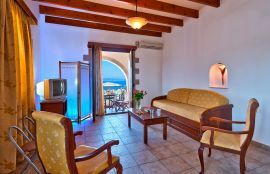 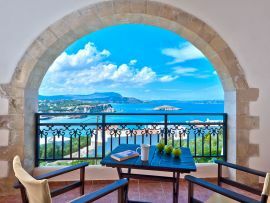 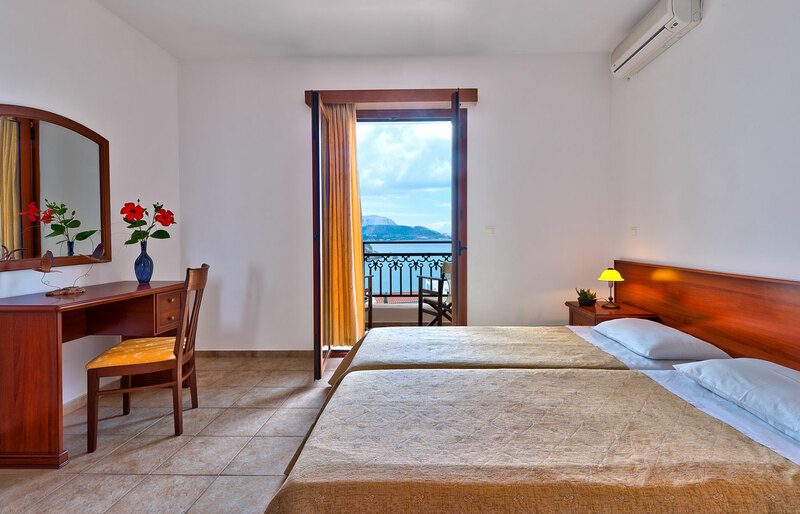 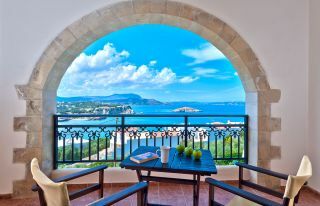 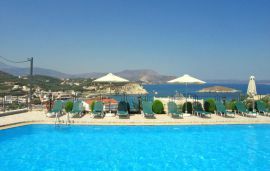 They are built in a premier unique position overlooking the sea, 19 km east of Chania. 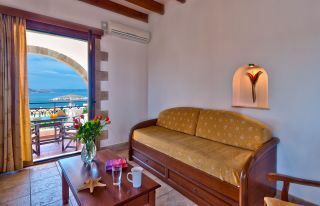 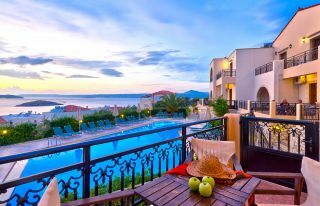 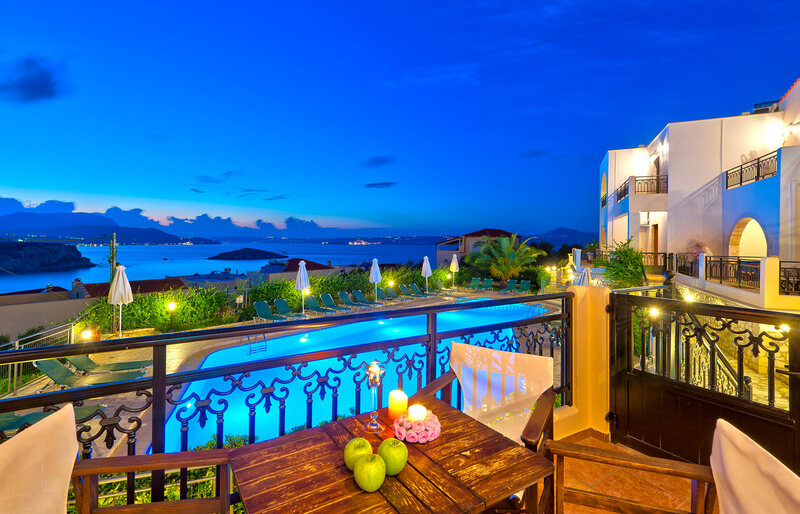 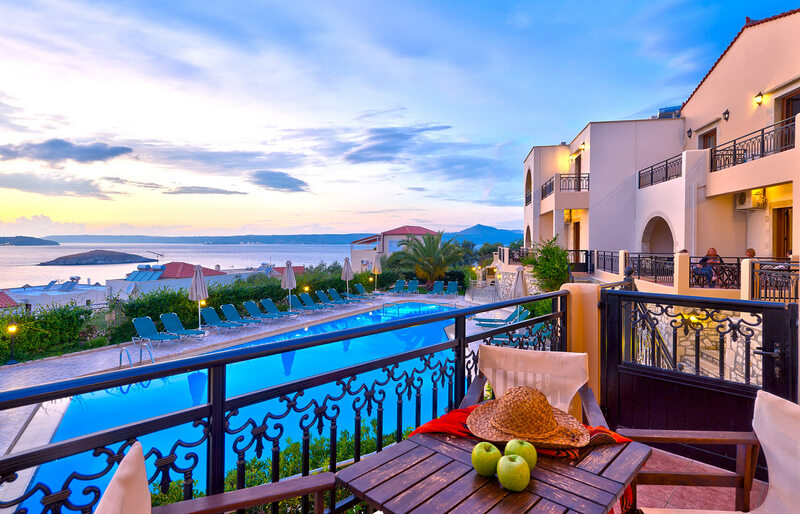 Eight wonderful sea view apartments with common pool are provided. 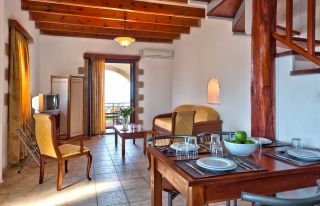 They are fully equiped, built in maisonette style and each can accommodate up to 5 guests (one guest can sleep in the spacious sofa bed). 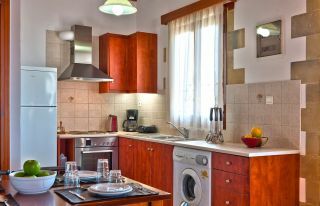 A fully-equipped kitchen, a dining table and the living room area in an open plan design, as well as one shower bathroom are provided on the ground floor. 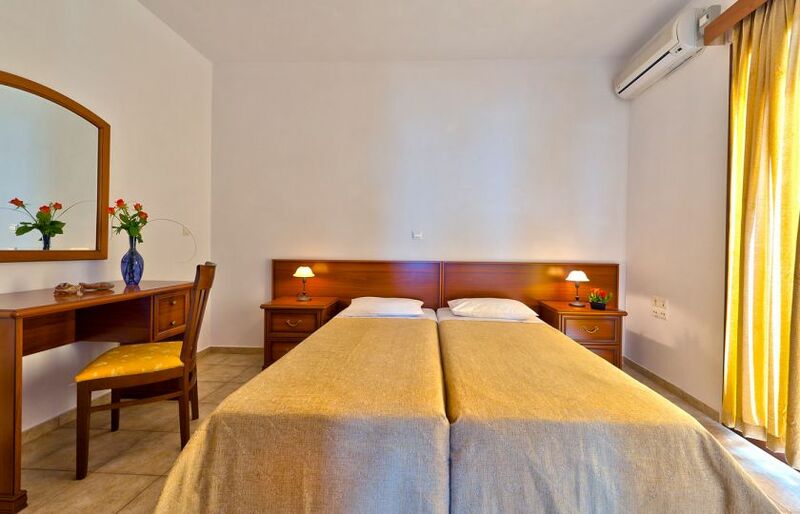 One bedroom with two single beds which can be used as a double bed, one bedroom with two single beds, and another shower bathroom are offered on the upper floor. 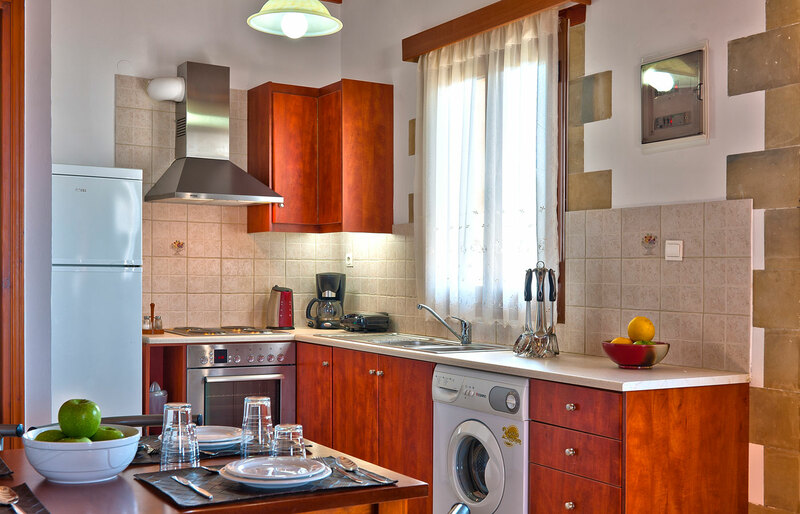 Three air condition units and wireless internet (wi-fi) are offered in every maisonette. 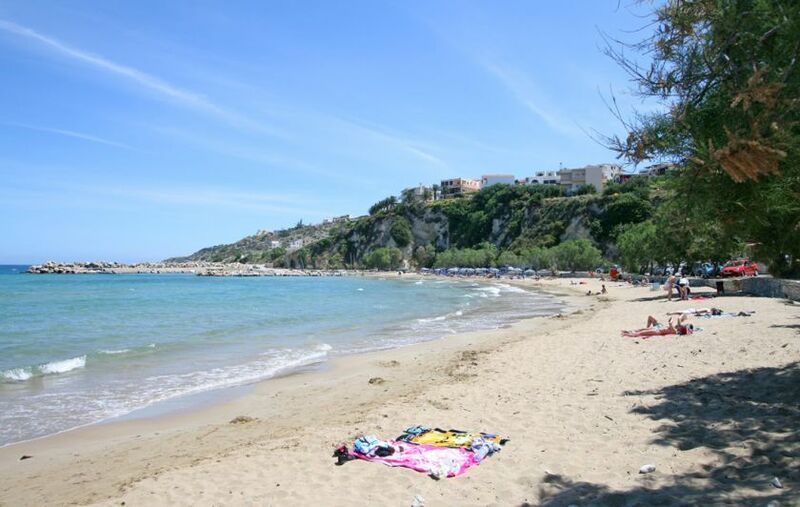 Almirida is a quiet, seaside village with an excellent sandy beach, and numerous tavernas, restaurants, cafes, shops and a few bars in the waterfront. 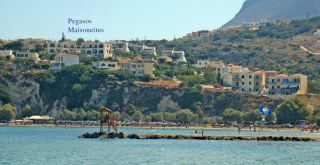 Many sightseeings in the area are available for all guests, such as the freshwater lake of Kournas, the ancient Aptera, the monasteries of the Akrotiri peninsula, the Gorge of Samaria and the unique venetian old town of Chania. 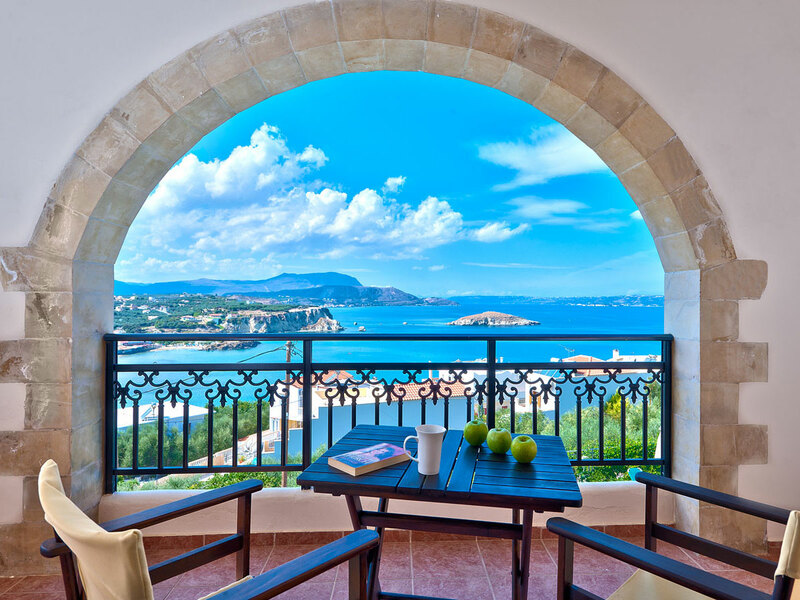 Fabulous view over the bay from the balcony. 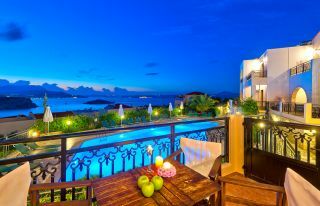 Easy access to pool from apartment. Short walk down the hill to the beach and restaurants. Very friendly staff. 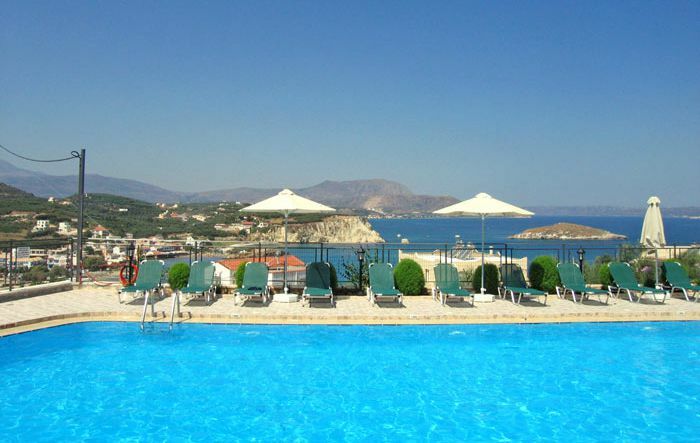 Almyrida is a very small town so it is easy to stroll around and does not feel overcrowded. The bay is sheltered so it feels very safe when swimming. Only 40 minutes from Chania airport in a taxi. This is the second time I have been to Pegasos Maisonettes and I would happily stay there again. 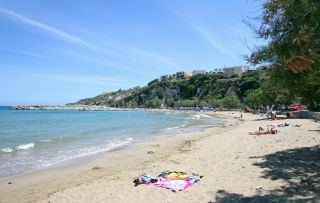 Lovely village with beach and restaurants.